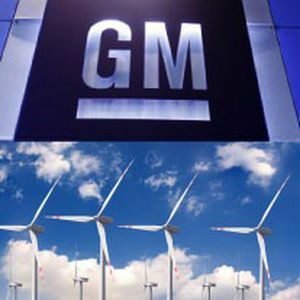 General Motors has signed a long term agreement with Enel Green Power, which is developing and constructing a massive wind farm in Palo Alto, Mexico near GM’s Toluca manufacturing complex. The company will buy 34 megawatts of wind energy from Enel — equivalent to the power produced by 17 wind turbines. 75% of the electricity will go to power the company’s Toluca complex. The rest will go to other facilities nearby. With the cost of electricity in Mexico about 1/3 higher than it is in the US, GM wants to be energy independent in its Mexican operations as soon as possible. According to Forbes, when the wind farm is complete, renewable energy will account for about 12% of GM’s total energy usage in North America or 104 megawatts. GM’s goal is to more than double that to 225 megawatts by the year 2025. The company also uses solar, landfill-to-gas, and waste-to-energy technologies. GM is founding member of the Business Renewables Center, a collaboration of major corporations looking to pursue more sustainable business practices and organized by the Rocky Mountain Institute. Other participants include EBay and Hewlett Packard.